This Friday (October 30th), Whitechapel will unleash their new live CD/DVD set, The Brotherhood of the Blade, via Metal Blade Records. Featuring an exclusive documentary (in addition to a live performance shot in Knoxville, TN), The Brotherhood of the Blade stands as a glimpse into the sextet’s world, into each member’s outlook, and the changes they’ve experienced over the past near-decade on the road. Shot and directed by Mathis Arnell for Naughty Mantis, with live show audio recording, mixing, and mastering by Audiohammer’s Mark Lewis, this release is an audio/visual apex that fans won’t want to miss. For a preview of The Brotherhood of the Blade, head over to MetalInjection.net now for the premiere of “The Saw Is the Law” live video HERE. 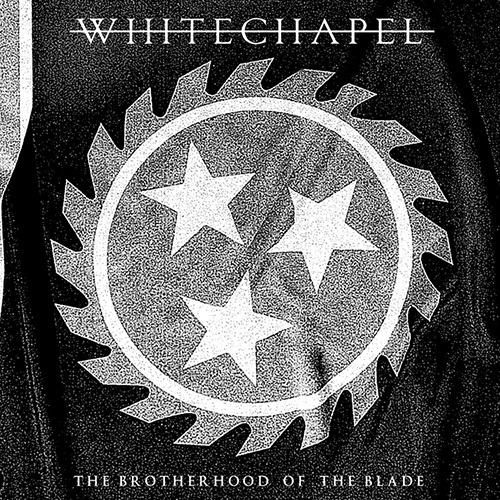 See below for the complete track-listing for Whitechapel‘s latest offering, The Brotherhood of the Blade. After The Brotherhood of the Blade‘s release, Whitechapel will be touring the USA with label-mates Culture Killer and Australia’s Psycroptic. See below for all dates!